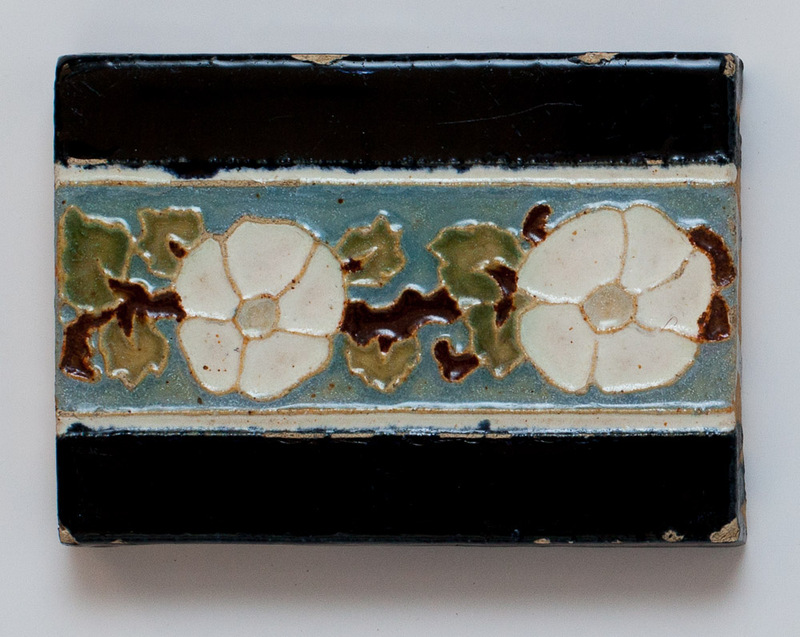 Some of these relief trim are contoured and meant to top a row of field tiles or be installed with matching contoured field tiles. 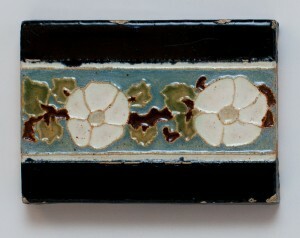 All of them have bright smooth glazes in a variety of colors. 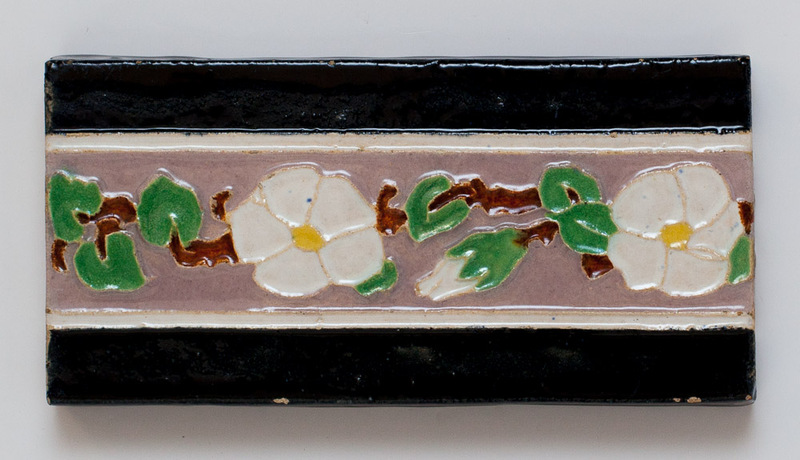 These bathroom trim tiles are well-documented. They appear on pages 60-61 of the California Tile, The Golden Era 1910-1940 (vol. 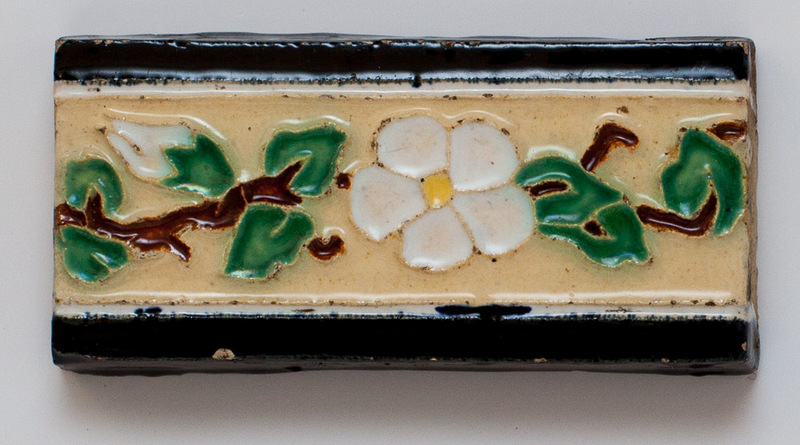 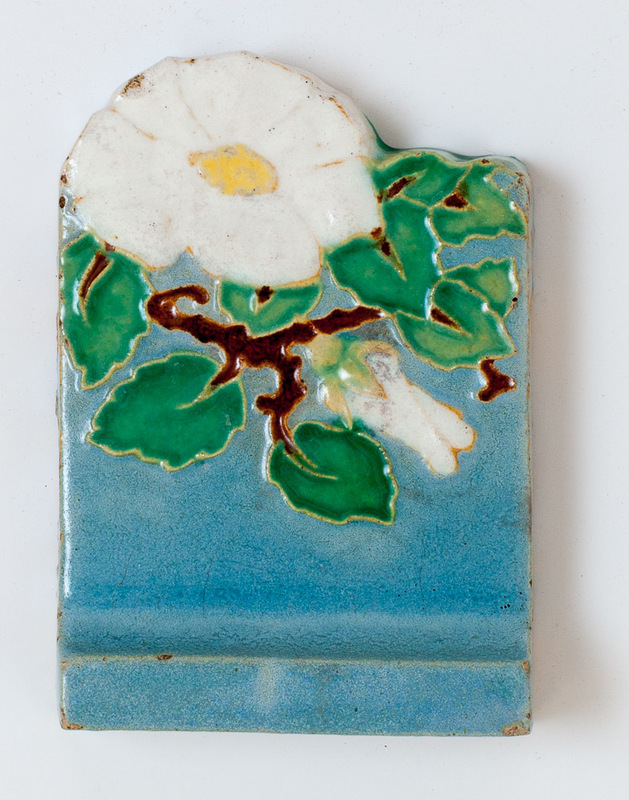 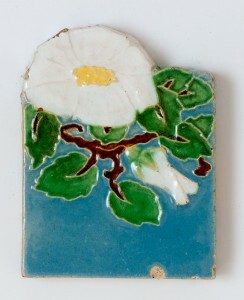 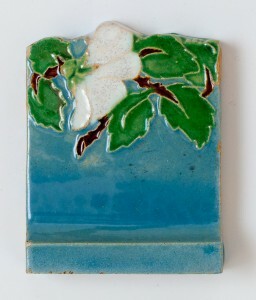 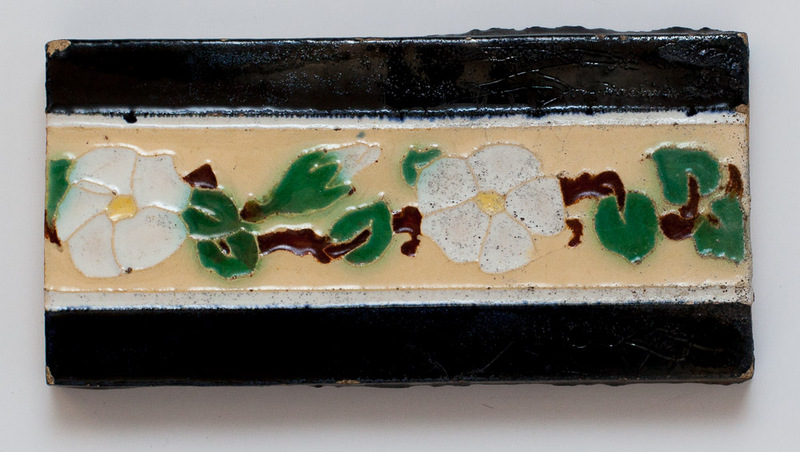 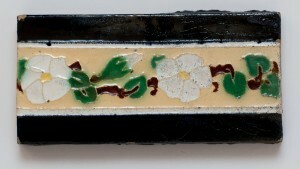 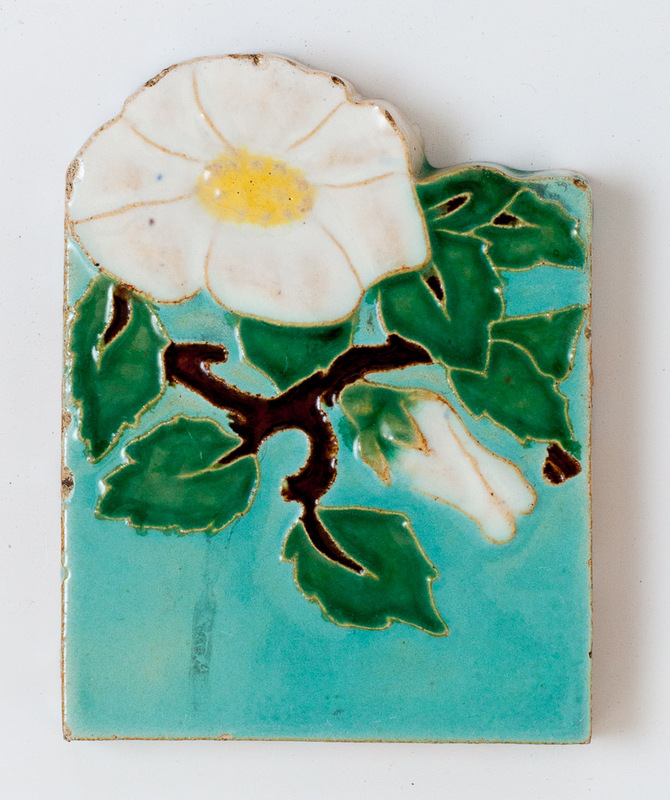 2), on page 241 of the Encyclopedia of American Art Tiles, Region 6, and on page 11 of Malibu Potteries catalog. 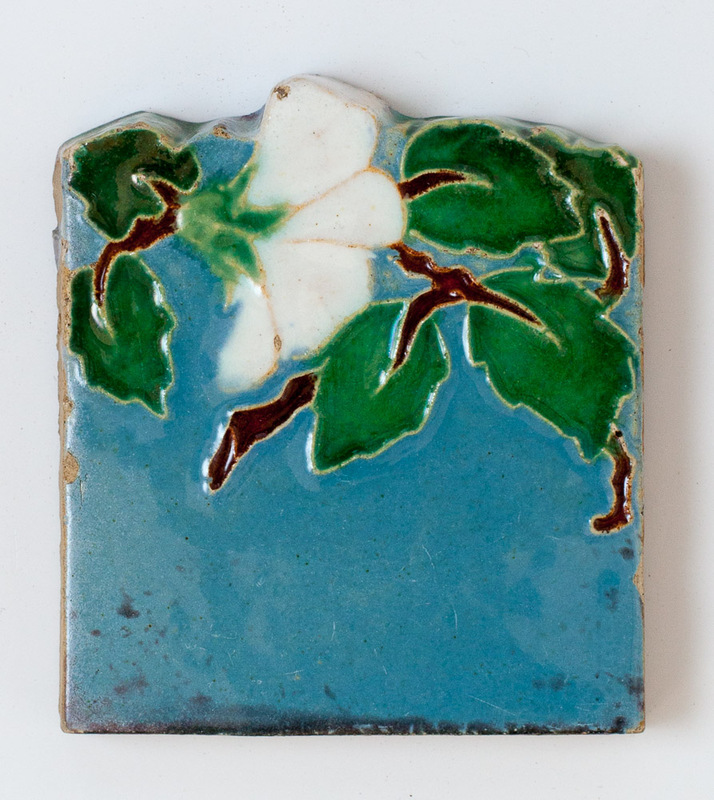 Most of these tiles were never installed but they've had some traumatic experiences in their long life, so they have some small chips and nicks here and there. I have quite a few of these; certainly enough for a project!